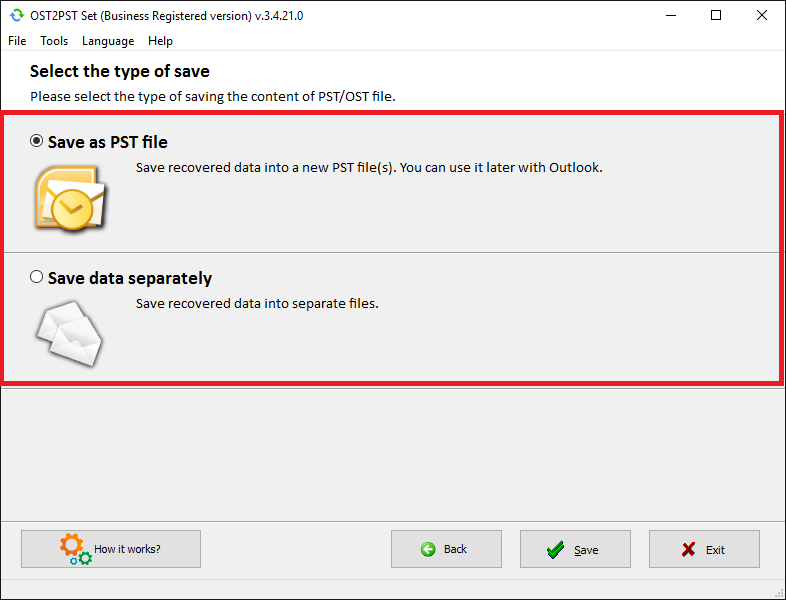 How to open an .ost file in Outlook without Exchange? 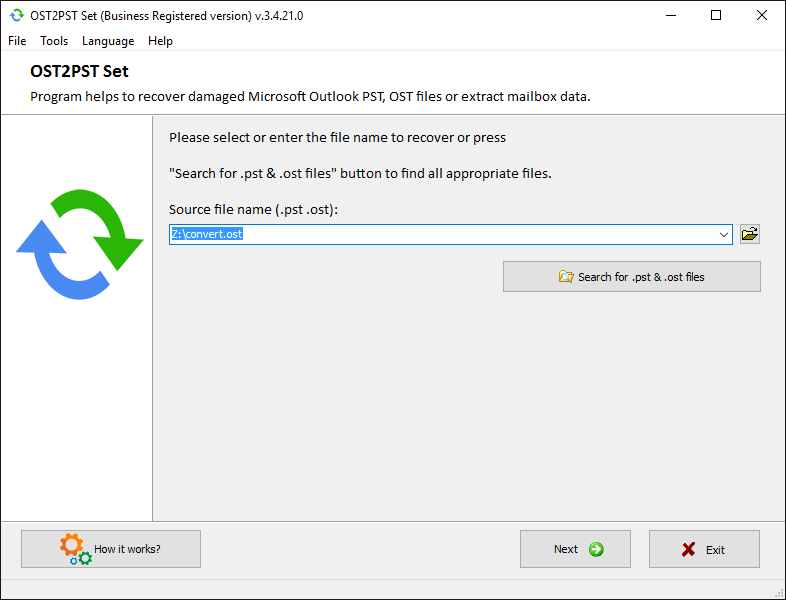 How to open an .ost file in Microsoft Outlook without Exchange Server? 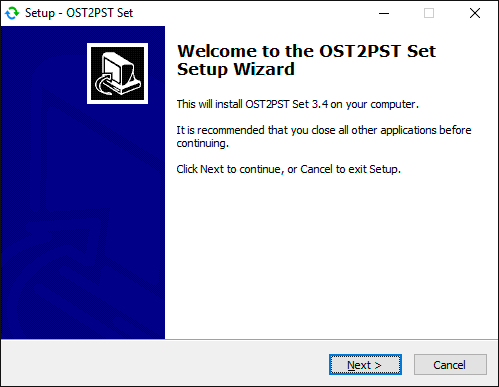 OST2PST Set (download) can open an .ost file without the need for Microsoft Outlook, Microsoft Exchange Server or Windows Domain Controller. 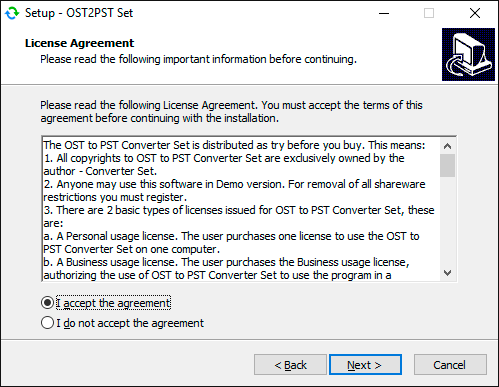 OST2PST Set easily reads data from the OST format and converts it to the PST format. 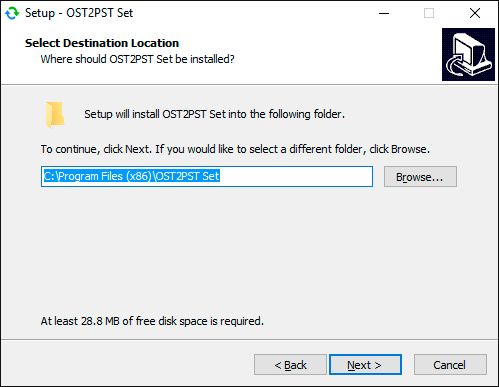 The download converter in OST2PST Set is very small in size. It's fully compatible with all versions of Windows. 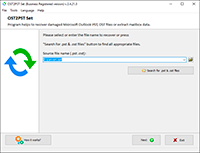 It works with any version of Microsoft Outlook (except 64-bit). It converts very large mailboxes in the OST format. 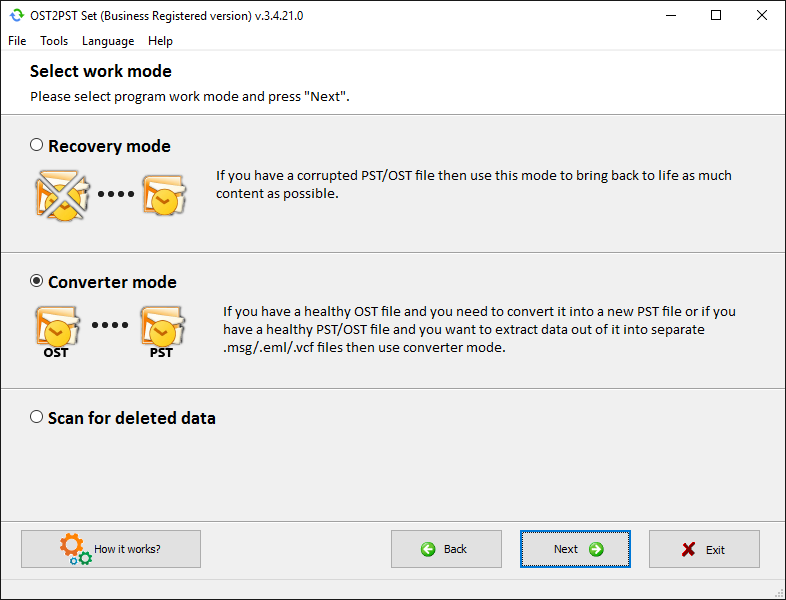 The OST-to-PST conversion tool uses a simple interface that anyone can use right away. 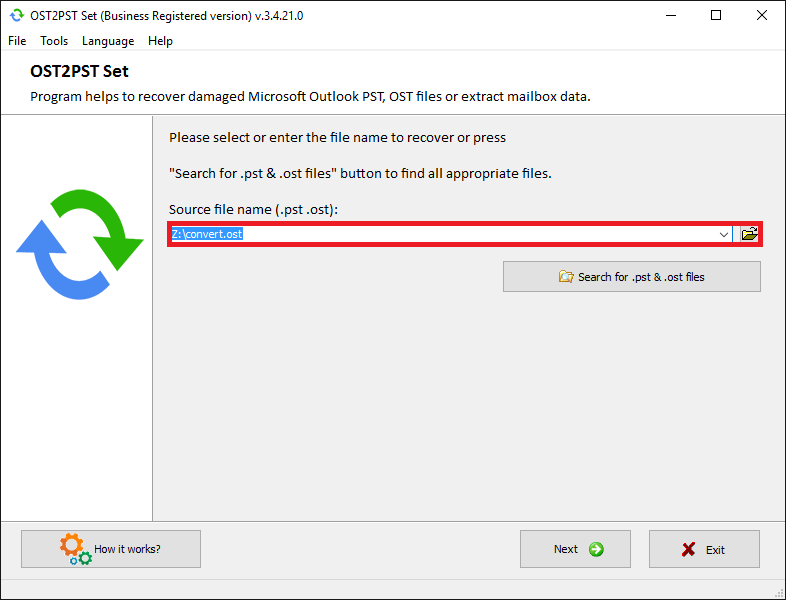 It explains how to open an OST file in Outlook by providing clear guidelines and instructions. 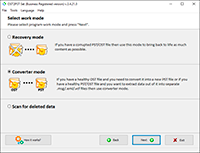 It accesses and converts password-protected OST files. 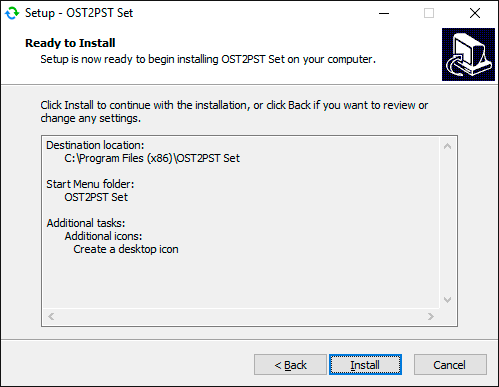 OST2PST Set converts encrypted .ost files. It doesn't need Windows Domain Controller for mailbox conversion. It offers data output in a variety of formats, including EML, VCF, MSG, TXT and PST. It makes no modifications to input documents. 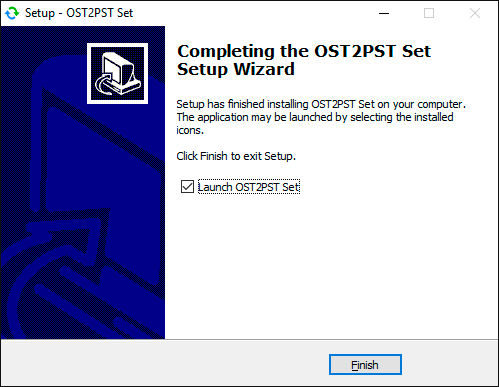 OST2PST Set converts all objects found in .ost files, including contacts, messages, attachments and others. It automatically fixes errors during the conversion process when necessary. OST2PST Set creates PST files that can be opened offline. 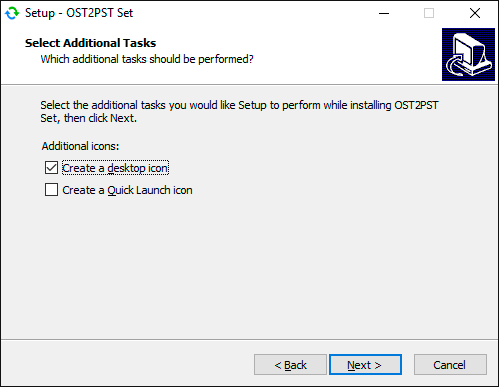 OST2PST Set is the easiest way to open .ost files in Outlook. 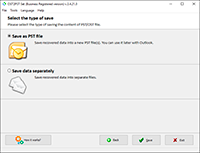 It converts the data into clean .pst files, which are accessible offline. This application is free to try. 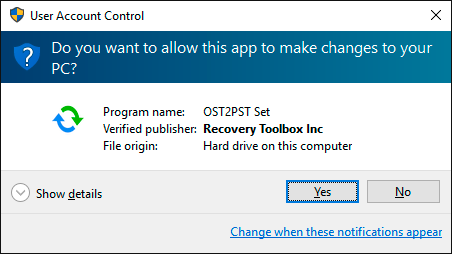 Once you decide to get this tool, the conversion of .ost files can be done in minutes on any compatible hardware configuration. 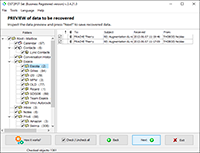 Network problems are preventing connection to the Microsoft Exchange Server computer. Contact your system administrator if this condition persists. An unexpected error prevented access to this file. 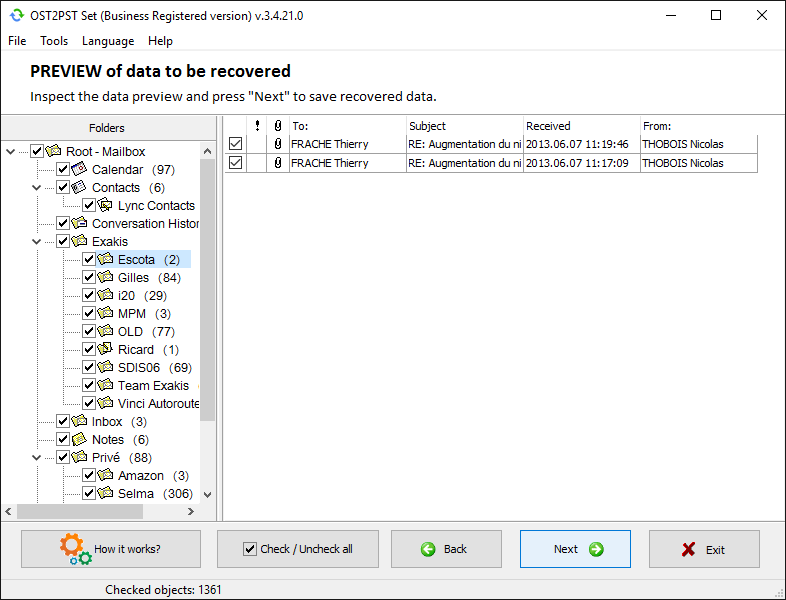 Use ScanDisk to check the disk for errors, and then try using the Inbox Repair tool again. 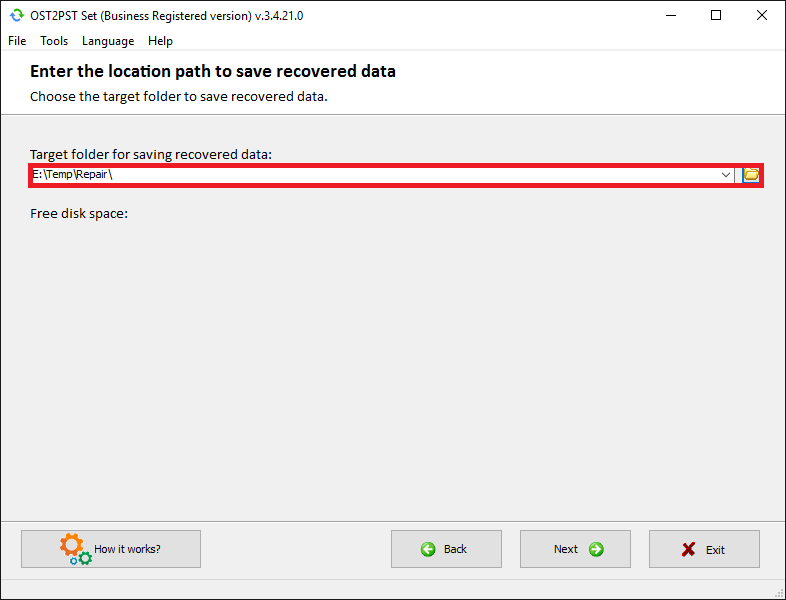 Unable to display the folder. 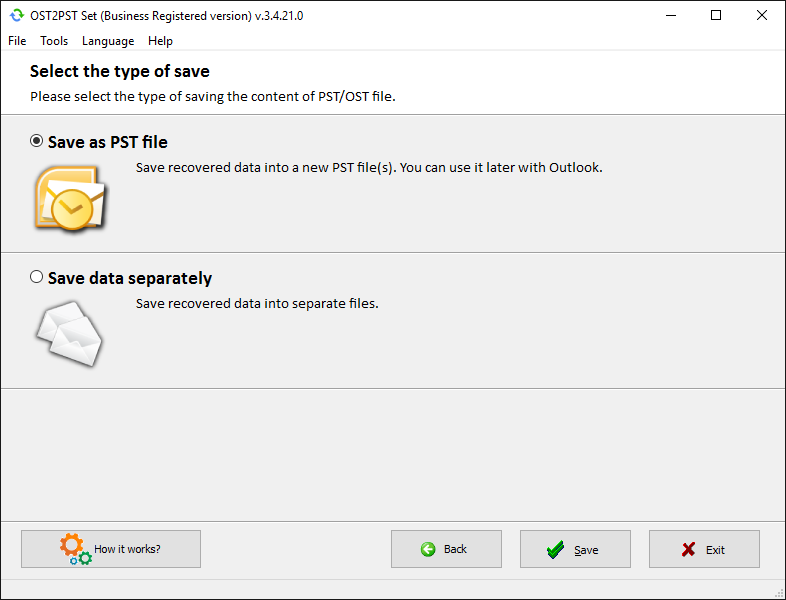 The file Outlook.pst could not be accessed. Access denied. The set of folders cannot be opened. 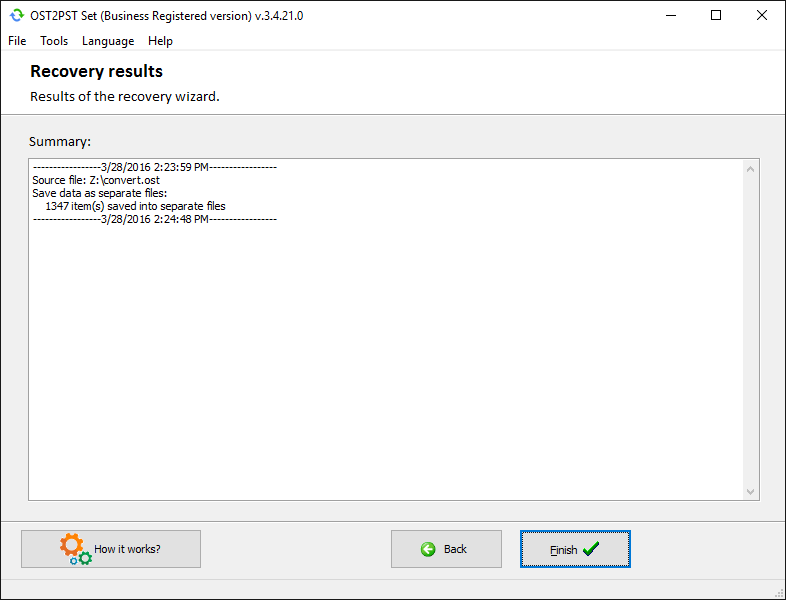 Scanpst reports "An unknown error prevented access to the file. Error 0x80070570: The file or directory is corrupted and unreadable". Unable to open your default e-mail folders. Unable to display the personal Outlook folder. 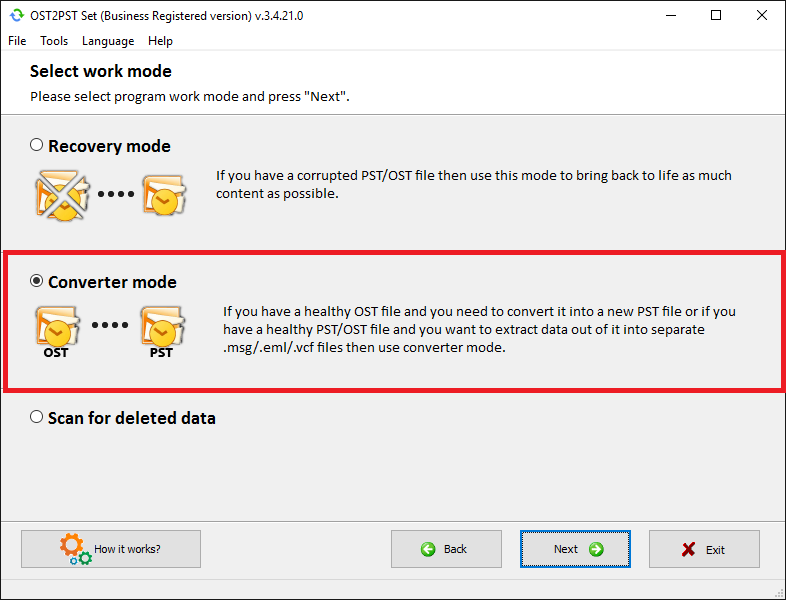 Converter Mode – use it for export data from OST to PST files. Vancouver, BC V6H 4E4, Canada.